TED – TED conferences and TEDiSUB – Enjoy TED videos with Subtitles! Parents/Teachers – here is an app for you and the kids! 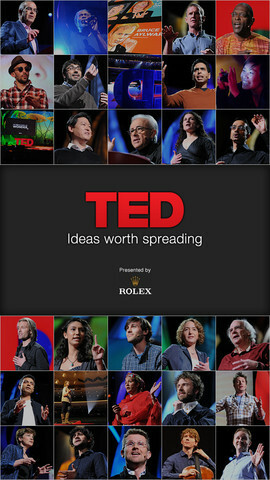 TED started in 1984 as a conference bringing together people from three worlds: Technology, Entertainment, and Design. It is now a nonprofit devoted to ideas worth spreading. Here is information on 2 apps that will bring the world of TED to the device of your choice! Riveting talks by remarkable people and FREE to the world. Connect with the official TED app for iPhone/iPad. Access more than 1,400 TEDTalk videos with more added every week! When you open the app, you will see a wide variety of featured talks – Where is Google going next? by Larry Page, A new way to grow bone by Molly Steven, Teach teachers how to create magic by Christopher Emdin, and so on. There are about 60 talks to choose from. Click on a title that interests you to get additional information about that talk: the length of the talk, a short synopsis, related talks, and related tags. Then you can watch the talk, save it, bookmark it, or share it. The app permits you to browse the entire library at any time – even when you are offline. You can browse by tag or by language. TEDTalks are subtitled in over 100 languages! You can create your own playlist or the app can create one for you based on your mood and how much time you have to listen. A fabulous resource for lifelong learners!! FREE for a limited time – TEDiSUB – Enjoy TED videos with Subtitles! This app enhances the TED experience with added control features. It also allows you to see two subtitles at once – great for a language classes.